During Jan. 16 episode of America’s Work Force, guests discuss privatization and contracting out services at VA medical centers. Willie Haywood Jr., District 6 Representative of the National Veterans Affairs Council, discussed the current state of the VA’s across the country. Haywood , member of VA Council 262, which encompasses Indiana, Ohio and Northern Kentucky, talked about fully staffing VA’s. He said that by fully staffing veterans, they will be able to receive the proper, adequate care that they need and deserve. Haywood also mentioned that VAs having their own medical providers will take away the need to go through a private sector to receive care and it will also keep the sense of comradery between the veterans in tact. 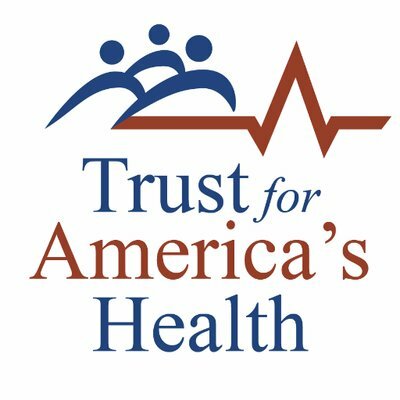 John Auerbach, President and CEO of the Trust for America’s Health (TFAH), discussed public health and preventable issues during the Jan. 16 edition of AWF. Auerbach talked about West Virginia and Ohio having the highest rate of drug overdose deaths in America. He said that he believes the reason for the high overdose death being so high in those areas is a result of poor quality of life as well as a lack of access to proper treatment. He mentioned that the life expectancy in America is dropping because of the increase in drug overdose deaths. Lastly, he mentioned the problem with doctors over prescribing opioids for pain treatment. AWF host Ed “Flash” Ferenc discussed the ongoing government shutdown and the effects that it is having on government employees. Mark Seavy, from the American Legion, appeared on America’s Work Force Radio on Dec. 21 and talked about copay issues within the Veterans Administration. According to Seavy, the VA refuses to reimburse veterans for out of pocket emergency services. He said it is ridiculous that the government has the money to deploy soldiers, but does have the money to care for them when they return home injured or sick. He believes there needs to be better copay options for veterans to cover the costs of medication, rehabilitation and other medical needs. Seavy also spoke about the decision by Defense Secretary James Mattis to resign after a disagreement with President Trump, who decided to U.S troops out of Syria. Alliance for Retired Americans Executive Director Rich Fiesta talked about what his organization plans to do in 2019. Fiesta said they will work to address issues such as the price of prescription drugs, the expansion of social security and raising the earning cap. He also discussed a recent court ruling, which declared the Affordable Care Act unconstitutional. Fiesta said the Texas judge made a poorly reasoned decision and did not thoroughly review the ACA. AWF host Ed “Flash” Ferenc discussed SNAP eligibility and recently passed legislation, which bans the shackling of pregnant women in federal prisons. Blogger from American Legion Magazine, Mark Seavey, discussed neglect in VA assisted living homes on the Nov. 16 edition of America’s Work Force Radio. Seavey said neglect is occurring in VA homes all across the country, as many VA assisted living homes are receiving failing grades by the VA’s own ranking system for various reasons including, nurses sleeping on the job, providing less assistance than required and not repairing what he called atrocious living conditions. Seavey spoke about a rehabilitation program called Merging Vets and Players (MVP), where athletes help veterans cope with PTSD through various forms of workouts and talking about their problems. Norm Wernet, Ohio President of the Alliance for Retired Americans, spoke about midterm election results. He believed the outcome had the potential to affect social security and pension plans. Wernet talked about Medicare expansion and the need to strengthen social security benefits to ensure people can retire comfortably and with dignity. AWF host Ed “Flash” Ferenc discussed how gerrymandered legislative districts in Ohio affect elections. He also talked about rank choice voting and the benefits that come with it. Healthcare and Pre-Existing Conditions are Main Topics of Discussion on America’s Work Force Radio. Midterm election results, healthcare and pre-existing conditions, and military advocacy were the hot topics of discussion on the Nov. 9 edition of AWF. Editor of the Progressive Populist, Jim Cullen, discusses the current state of the republican party and what he calls “post-truth” world they are living in. He goes on to talk about how he believes President Trump lied when he said that he was going to protect Americans with pre-existing conditions and that the democrats would destroy medicare. 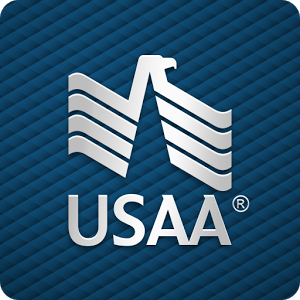 Assistant Vice President and Military Advocate with the USAA, Mike Kelly, was the second featured guest and he talks about how others can help veterans. Kelly goes on to discuss the benefits of hiring veterans and how it can help reduce the unemployment rate. He concludes his time by talking about an active way to show your support for veterans with their #HonorThroughAction campaign. Ohio’s 11th District Court of Appeals Judge, Mary Jane Trapp, was our third featured guest on AWF, as she discusses two court cases. One case uncovered details of a widow who was filing a lawsuit against Notre Dame Football, claiming they were responsible for her late-husband’s chronic brain injuries. The second case that Trapp discussed involves the Ohio State Bar Association and landlord agents not being permitted to file eviction actions. America’s Work Force host Ed “Flash” Ferenc reviews the labor wins resulting from the midterm elections and the American Federation of Teachers continuing their fight against budget cuts in order to properly fund their programs. Mark Seavey with the American Legion Magazine and Rich Fiesta with the Alliance for Retired Americans were featured on America’s Work Force Radio. On Oct. 19, Mark Seavey was a guest on the show to discuss different types of discharge from the military and receiving help to cope with PTSD. Seavey also talks about the November edition of the American Legion Magazine, National Legion Day, and veterans explaining what is important to them when making a memorial. Rich Fiesta discusses the disturbing budget deficit and social security. He talks about working to protect the health and security of worker’s pension plans. He stresses that the workers have entitlement to their social security after working so hard for it and it is unfair to lose it. Show host Ed “Flash” Ferenc talks about getting out to vote for the upcoming midterms and once again discusses the Marriott workers that are currently on strike.